Managing risks means to anticipate, to focus on prevention. Within the Eco-Vallée, all risks, whether natural or technological, are being fully assessed, and measures taken to ensure the utmost security. Given its location, the Var valley is exposed to several types of natural risks -floods, forest fires, earth quakes, land slides… . Each risk is taken into account and addressed with a range of preventive measures. A flood prevention plan (PPRI) applies to the whole Var valley. 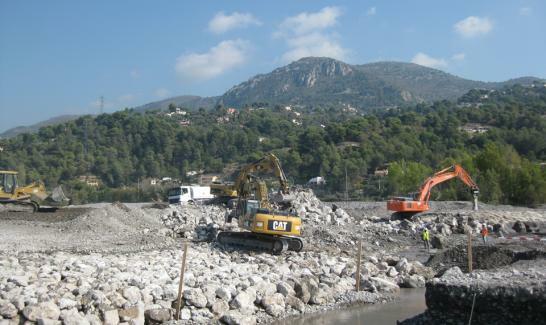 As a first step, an action plan for flood prevention (PAPI) is currently being carried out on the lower plaine du VAR area and within the small lower valleys, representing important investments over 5 years (2009 to 2014). A new investment phase will be launched, with a second action plan (PAPI 2). 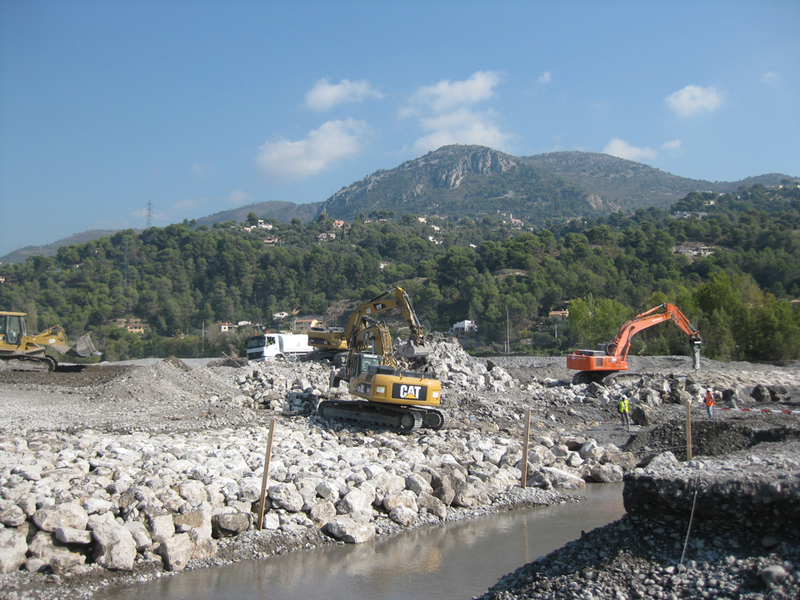 For the Grand Arenas, a sensitive zone situated behind protective dikes, an in-depth study phase (schéma de cohérence hydraulique et d’aménagement d’ensemble (SCHAE) was elaborated. This initiative, launched by the EPA in the second semester 2011, is in line with the flood prevention plan (PPRI). With this innovative approach, which involves modeling scenarios and simulating floods, the exact water level can be determined as well as the impact on the dikes and the risk of rupturing. The key objective is to help define the rules for urban planning which will take flood risks into account and ensure that development neither increases the risk factor in the area nor causes it to shift location. Regarding earthquakes, the whole zone is at average risk. This makes it mandatory, as for all new constructions within the perimeter of Nice, to apply the European regulation which requires the respect of paraseismic rules for new buildings. These rules are defined in Eurocode 8 norm. A prevention plan has been put in place to determine the technological risks within the different zones to best protect people and goods. Risk management has become a skilled profession, involving high level studies. The Mediterranean Institute for Risk, Environment and Sustainable Development (IMREDD) has recently been installed in the Eco-Vallée. As part of the Nice Sophia Antipolis university, this represents a first building block of the future eco-campus.